Depending on how you use SeaRXBeauty, we may ask you to share personal information with us. Whether you choose to give SeaRXBeauty information is completely up to you, but keep in mind that if you withhold information, you may not be able to use some of our services. Becoming a Registered User of SeaRXBeauty.com. In order to become a registered user of SeaRXBeauty.com, you need to share some personal information, such as your name and e-mail address. You do not have to be a registered user to visit the Sites. But, you will have to register if you want to place orders or make full use of our services. Once you register, you will have an account with SeaRXBeauty and a password to access that account. You may never use another person's account without permission and you may not use anyone else's password. You should keep your registration current and complete. You are responsible for maintaining the confidentiality of your account and password. Please also let us know if there is any unauthorized use of your account or password. We recommend that you always log out from your account at the end of a session with us to prevent other people from accessing your account without your permission. Making a Purchase on SeaRXBeauty.com. When you buy something on SeaRXBeauty.com, you have to supply a billing address, phone number, shipping address, and credit card information. By making a purchase, you become a registered user of SeaRXBeauty.com. You can choose to store information needed to make a purchase, such as your credit card number, shipping and billing addresses in the My Account page. If you change your mind about storing this information, you can amend or delete it by going to the relevant area of the My Account page and following the instructions. You can access this section using your registration password. You can apply for SRB Membership at SeaRXBeauty.com or in person at a Store, including any SeaRXBeautyInside retaillocation. You do not need a SRB Membership to visit the Sites or to make a purchase at SeaRXBeauty.com or a Store. To apply for SRB Membership, we ask you to share some personal information, such as your name, birthday, phone number, mailing address and e-mail address. Once you have SRB Membership, you will have an account with SeaRXBeauty tied to the e-mail address provided upon application. You can amend your information by (i) calling our Customer Service, (ii) visiting a Store and speaking with a cast member, or (iii) signing in to SeaRXBeauty.com using the e-mail address you provided upon application, going to the My Account page and following the instructions. You may never use another person's account without permission and you may not use anyone else's password. You should keep your SRB Membership current and complete. You are responsible for maintaining the confidentiality of your account and password. Please also let us know if there is any unauthorized use of your account or password. We recommend that you always log out from your account at the end of a session with us to prevent other people from accessing your account without your permission. Our Ratings & Reviews or Question & Answer services. When you use the Ratings & Reviews or the Question & Answer services you will become a registered user (if you aren’t already one) and any personal information you submit will become part of your profile, as maintained by SeaRXBeauty. Gift Advisor and Beauty Advisor. If a product that you want to purchase at SeaRXBeauty.com is not in stock, you can choose to provide us your e-mail address so that we can notify you when the product becomes available again. You do not need to be a registered user to receive a product availability notification. Please note that if you choose to share information about yourself in an open format, such as through a Third Party Site like Facebook or Twitter or in the user-generated content elements of our own Sites, we consider that information to be public information - and not personal information. SeaRXBeauty collects personal information primarily to make our services more rewarding for you to use. We usually use this information for internal purposes, such as studying our customers' preferences. We may also use your information to track your purchase history and to contact you for account and promotional purposes. 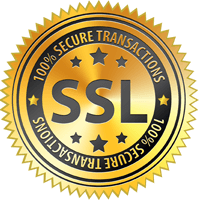 In the event that another company buys the assets or stock of SeaRXBeauty, your personal information may then belong to another entity. We use e-mail addresses and mailing addresses to send out newsletters and other announcements with information about SeaRXBeauty's new products, gifts and special features. In addition, if you use your SRB Membership at a local location and your client profile indicates that you have not unsubscribed from receiving advertising, marketing materials and other communications from SeaRXBeautymay help SeaRXBeauty send those communications. After you become a registered user of SeaRXBeauty.com or have a SRB Membership, you can choose not to receive these announcements by opting-out of delivery. If you receive an e-mail and want to avoid further messages, look at the end of the e-mail for instructions on how to remove yourself from the mailing list. You can also edit your e-mail preferences at SeaRXBeauty.com's My Account page. SeaRXBeauty may share your personal information with companies that perform services for us, such as fulfilling orders, delivering packages, sending postal mail and e-mails, analyzing customer data, providing marketing assistance, processing credit card payments, investigating fraudulent activity, conducting customer surveys, and providing customer service. They have access to personal information needed to perform their functions, but may not disclose your personally identifiable information for other purposes. Some personal information is stored on servers owned by other companies. Except as otherwise described below, only SeaRXBeauty has the right to access this information. Any personal information that you include in your profile or in any content submitted when using our interactive services like BeautyTalk, Ratings & Reviews or the Question & Answer services or through Third Party Sites will be displayed on our Sites, so please consider this before submitting any such content. Please don't submit any information that you don't want the whole world to know! If you choose to use SeaRXBeauty’s Beauty Insider Pass in the Passbook application on your Apple mobile device, your email address and Beauty Insider status, point balance and any Beauty Insider rewards earned will be displayed on the SeaRXBeauty Beauty Insider Pass on your Apple mobile device, so please consider this before downloading the SeaRXBeauty Beauty Insider Pass. We recommend that you use the “Passcode Lock” security setting on your Apple mobile device and always safeguard your device to prevent other people from accessing your Beauty Insider account or redeeming your rewards without your permission if you download the SeaRXBeauty Beauty Insider Pass onto your Apple mobile device. In addition, you will receive notifications that may be based on your personal information, including your accumulated Beauty Insider points, rewards status, birthday and/or your device’s location, and you must opt out of these notifications or location-based services on the back of the SeaRXBeauty Beauty Insider Pass if you do not wish to receive these notifications or allow the Pass to use your location to send you location-based notifications. SeaRXBeauty wants to give you the best possible experience when you visit SeaRXBeauty.com and our other Sites. We like to constantly update and improve the features on our Sites, we like to personalize your browsing and shopping experience and we like to recognize you when you return to SeaRXBeauty.com. We have a variety of ways of doing this. We collect information about how you use our Sites by setting and accessing cookies on your computer. A cookie is a small data file that identifies the web browser on a particular computer. No personal information is stored in the cookie itself. When you visit one of our Sites, a cookie will be sent to your browser and then stored on your computer's hard drive. We use these cookies to track information about how often you visit our web site, what pages you view, and where you go after you leave the site. We also link the visitor ID from your cookie to a user ID in our database to help us analyze web traffic and statistics. Other companies help us with data research and analysis, but they are prohibited from using that data for any other purpose. Cookies also help us improve your shopping experience by, among other things, keeping track of your preferences, recognizing you if you are a registered user, and tracking your order as you shop on SeaRXBeauty.com. If any of your personal information needs to be accessed during that process, you will have to log in or otherwise authenticate yourself. If you don't like cookies, you can set your browser to reject cookies or to notify you when you are sent a cookie, giving you the chance to decide whether or not to accept it. For instructions, look at your browser's Help menu. Note that certain features of SeaRXBeauty.com may not be available if you delete or reject cookies. We use pixel tags (also called web beacons or "clear" gifs) on our Sites. They help us analyze what our clients like to do on our Sites and the effectiveness of our features and advertising. They can also help us customize your browsing and shopping experience. We may use information collected through pixel tags or tracked links in combination with your personally identifiable information. We may also combine personally identifiable information you provide to SeaRXBeauty with other personal information (such as purchase history and demographic information). We often work with other companies to help us track, collect and analyze this information but they are prohibited from using this information for any other purpose. We comply with the Children's Online Privacy Protection Act of 1998. If you are under the age of 13, you can look at our Sites, but you cannot make a purchase. You also cannot become a registered user, apply for SRB Membership, or use any service on our Sites that asks for personal information. Our Sites are not designed for children. We do not wish to collect personal information from children under 13. If you register with us or apply for SRB Membership, and we discover that you are under 13, we will delete such registration or SRB Membership. We will send you a message if we do this. If you are under 13 and want to make a purchase, please ask a parent to place the order for you. We work with trusted third parties, including social network sites like Facebook, and with application developers who specialize in social commerce so we can connect to your social networks. Other social networks we use include Twitter, MySpace, Delicious and Digg. All of these companies operate Third Party Sites. We provide access to our Sites by third parties and business partners so we can generate interest in our products among members of your social networks and to allow you to share product interests with friends in your network. The use of any features made available to you on our Sites by a third party may result in information being collected or shared about you by us or by the third party. Information collected or shared through any such third party features is considered "public information" by us because the Third Party Sites made it publicly available. If you do not want us to be able to access information about you from Third Party Sites, you must instruct Third Party Sites not to share the information. We cannot control how your data is collected, stored, used or shared by Third Party Sites or to whom it is disclosed. Please be sure to review the privacy policies and privacy settings on your social networking sites to make sure you understand the information they are sharing. If you do not want a Third Party Site to share information about you, you must contact that site and determine whether it gives you the opportunity to opt out of sharing such information. SeaRXBeauty is not responsible for how these third parties may use information collected from or about you. However, we do identify any areas on our Sites where third parties share information about you.